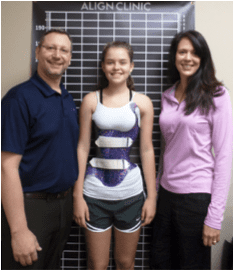 This WCR® Brace clinic is for patients who are being fit with new WCR® braces, evaluated for new braces or follow-up appointments of existing patients. If you would like to fit with a WCR® brace at this clinic, please contact Lynn so she can evaluate, measure & scan 4 weeks prior to the clinic. We also welcome any MDs and new patients that may want to learn about the WCR® brace or Schroth Physical Therapy.